Last year, one of the goals we set for the Year of Science campaign was to foster the development of biographies of women scientists on Wikipedia. Throughout the year we saw great work from students and Visiting Scholars, but in this post I’d like to highlight the the results of a Year of Science “virtual editathon” co-organized by WikiProjects Women in Red and Women Scientists. The Celebrating Women Scientists Online Editathon ran from April-December 2016, leading to the development of hundreds of articles about women in science. On Wikipedia, as with most sites that use wiki software, a link to another page on the same wiki appears in blue text. If the page does not exist, the link color is red. Because wikis are almost always collaborative projects, creating a link to a nonexisting article can make a useful indicator to other users that there is an opportunity to contribute. When Wikipedia was just getting its start back in the early 2000s, most articles were littered with redlinks pointing to lots of important topics that had yet to be written about. Red links are less common these days, but there are still many, many notable subjects that have not yet been covered, and many topic areas which are, as a whole, inadequately represented. Subjects may be omitted for a number of reasons, often tied to one or more forms of Wikipedia’s systemic bias. One area which Wikipedia has long struggled is in its coverage of women, due in some part to the fact that women only comprise roughly 10-20% of the people who write Wikipedia. WikiProject Women in Red is a project formed by Rosie Stephenson-Goodknight (recently announced as Wikipedia Visiting Scholar at Northeastern University) and Roger Bamkin in 2015 to address the underrepresentation of women. The “red” is a reference to “redlink”, and the project aims to change links to notable women’s names from red to blue. It has attracted hundreds of participants who have written thousands of articles and generated lists of thousands more red names, organized according to field, nationality, time period, etc. When it started, 15% of biographies on Wikipedia were about women. A couple years later, that number is up to 16.9% — an impressive gain, but there’s clearly a lot more work to be done. A few years before the formation of Women in Red, another WikiProject got its start: WikiProject Women Scientists, created to address the same gender gap on Wikipedia, but focused on scientists. 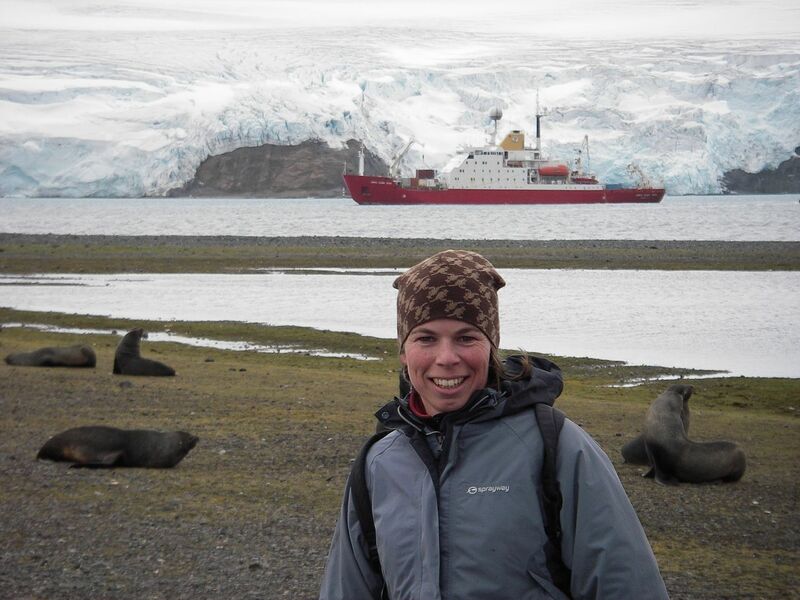 Emily Temple-Wood started the project in 2012 while an undergraduate molecular biology student. Now at medical school, she continues to both write articles and advocate for the representation of women in science on Wikipedia. Working together, the Wikipedia community embraced the Year of Science and either created or improved articles on hundreds of women scientists during the virtual editathon. Many now include new Featured Pictures and many others were highlighted in the Did You Know section of Wikipedia’s Main Page. Below are some of the women whose contributions are now better represented on Wikipedia thanks to these efforts. Thanks again to WikiProjects Women in Red and Women Scientists! Margaret D. Foster (1895-1970), chemist recruited to work on the Manhattan Project; first female chemist to work for the U.S. Geological Survey. 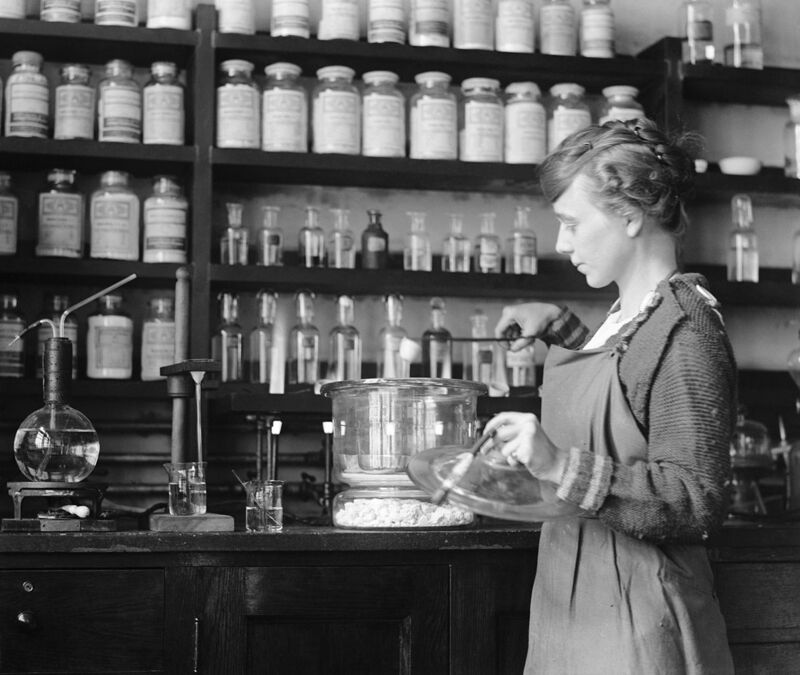 Image: Margaret D. Foster, in Lab, 4 October 1919.jpg, by National Photo Company, restored by Adam Cuerden, public domain, via Wikimedia Commons. Elizabeth Truswell (b. 1941), former Chief Scientist at the Australian Geological Survey Organisation who researched the floral history of Antarctica and developed methods to study sub-ice geology. Image: Dr Elizabeth Truswell.jpg, by MichaelJHood, CC BY-SA 4.0, via Wikimedia Commons. Salinee Tavaranan, mechanical engineer, winner of a 2014 Cartier Women’s Initiative Award for work on renewable energy in remote areas of Thailand. 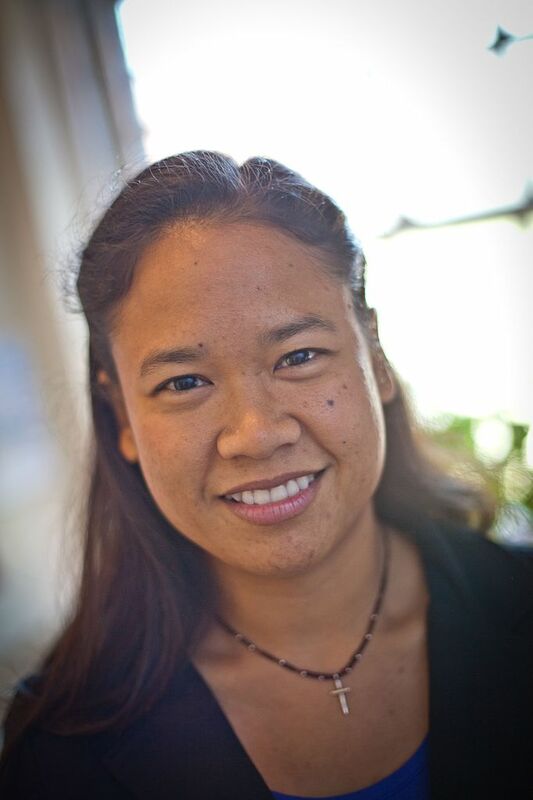 Image: Salinee Tavaranan.jpg, by PopTech, CC BY-SA 2.0, via Wikimedia Commons. 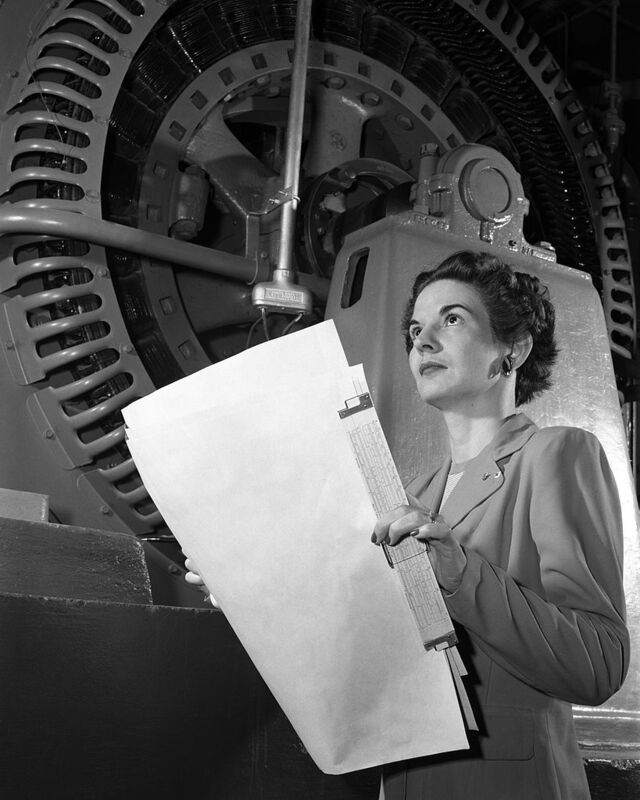 Kitty Joyner (1916-1993), electrical engineer who worked with NASA throughout her career; first woman engineer at NASA, and the first woman to graduate from the University of Virginia’s engineering program. 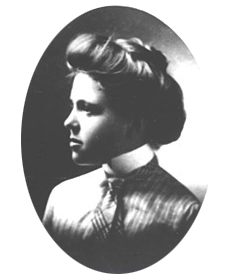 Image: Kitty Joyner – Electrical Engineer – GPN-2000-001933.jpg, by NACA, public domain, via Wikimedia Commons. Rosemary Askin (b. 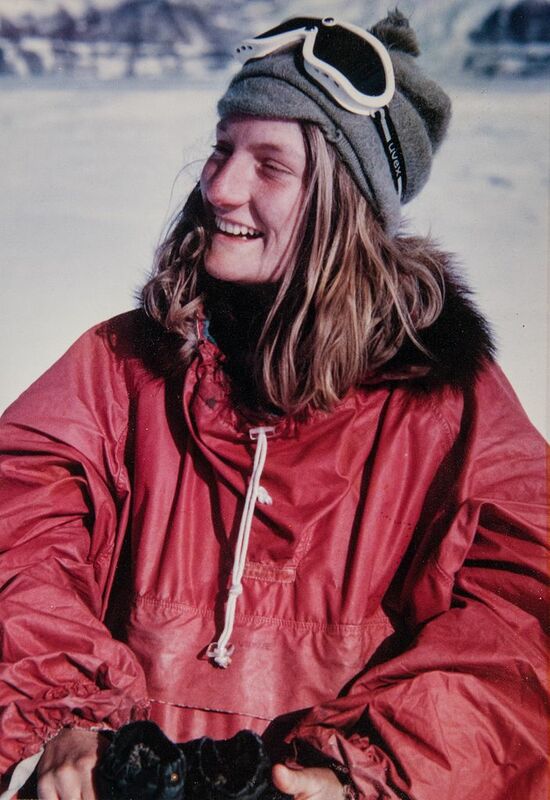 1949), geologist specializing in Antarctic palynology; first woman from New Zealand to lead a research project in Antarctica. Image: MG 6885Rosie1970.jpg, by Rosieaskin, CC BY-SA 4.0, via Wikimedia Commons. Barbara McClintock (1902-1992), winner of the 1983 Nobel Prize in Physiology or Medicine for her discovery of transposition. 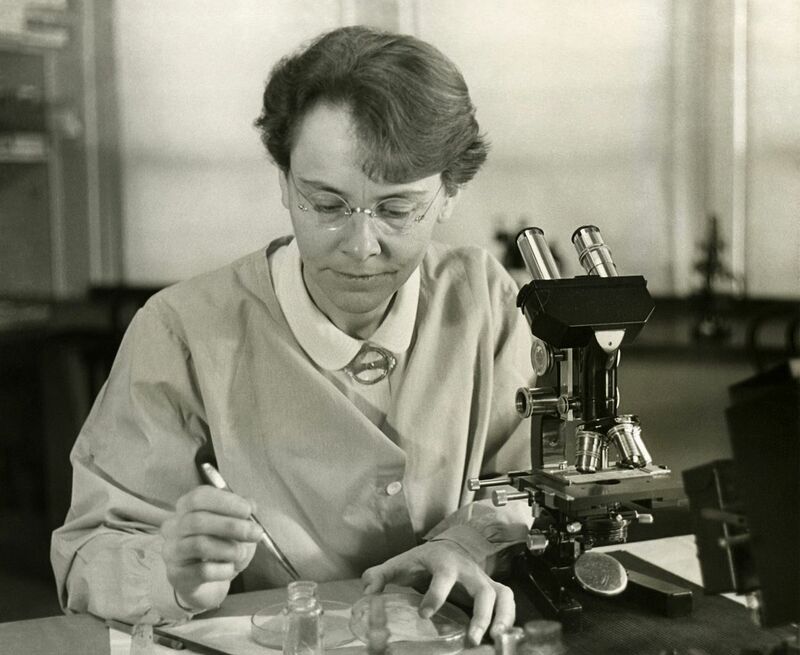 Image: Barbara McClintock (1902-1992) shown in her laboratory in 1947.jpg, by the Smithsonian Institution, restored by Adam Cuerden, no known copyright restrictions, via Wikimedia Commons. 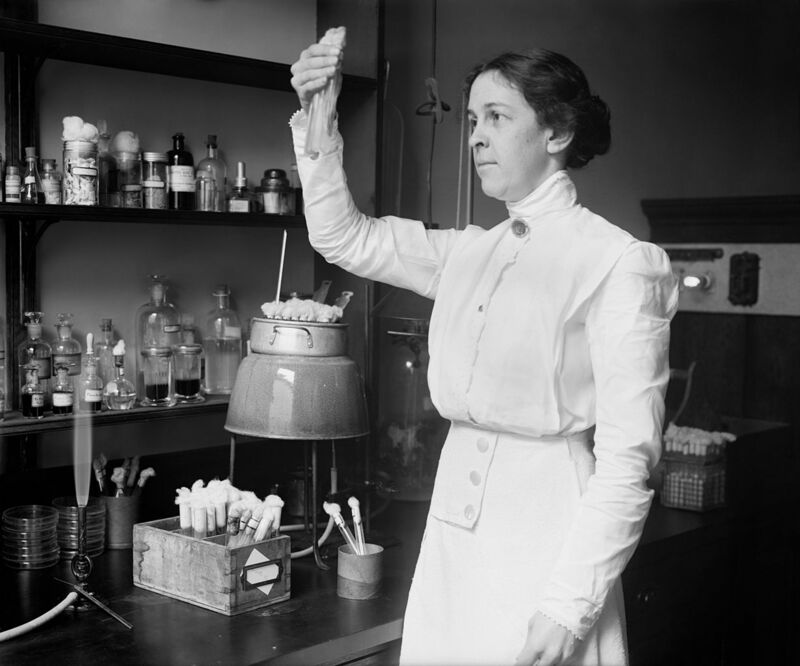 Alice Catherine Evans (1881-1975), microbiologist who researched bacteriology at the U.S. Department of Agriculture. Image: Alice C. Evans, National Photo Company portrait, circa 1915.jpg, by National Photo Company Collection, restored by Adam Cuerden, no known copyright restrictions, via Wikimedia Commons. 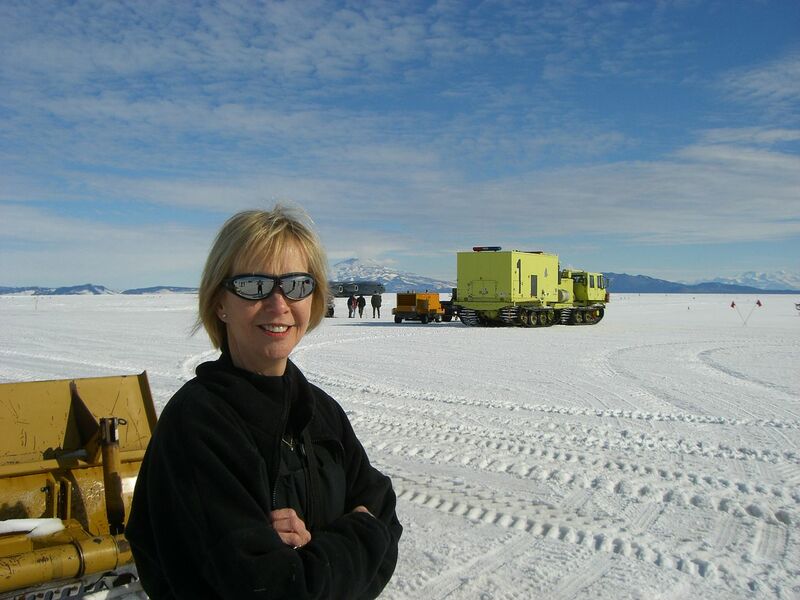 Diana Wall, environmental scientist and soil ecologist whose research concerns ecosystem processes, soil biodiversity, ecosystem services, and how they are affected by climate change. Image: Diana Wall portrait.jpeg, by Byron Adams, CC BY-SA 3.0, via Wikimedia Commons. 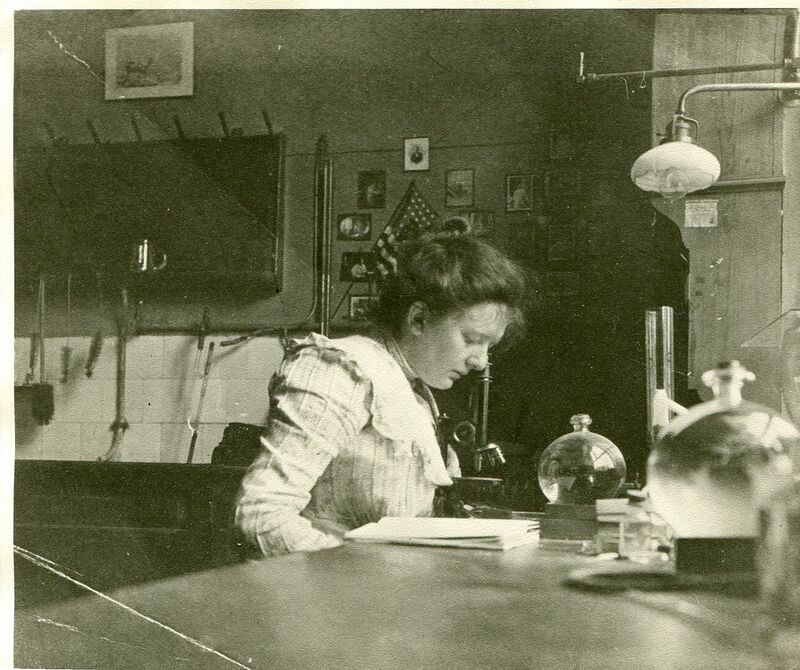 Margarete Zuelzer (1877-1943), biologist and zoologist specializing in the study of protozoa. Image: Margarete Zuelzer als Studentin in Heidelberg.jpg, via Wikimedia Commons. 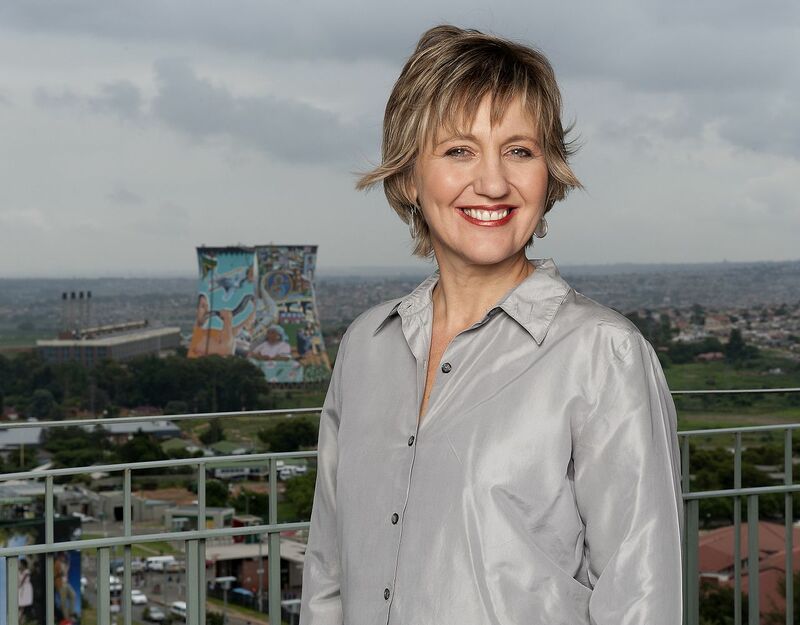 Image: Glenda Gray SA.jpg, by Simon Fraser University Communications, CC BY 2.0, via Wikimedia Commons. 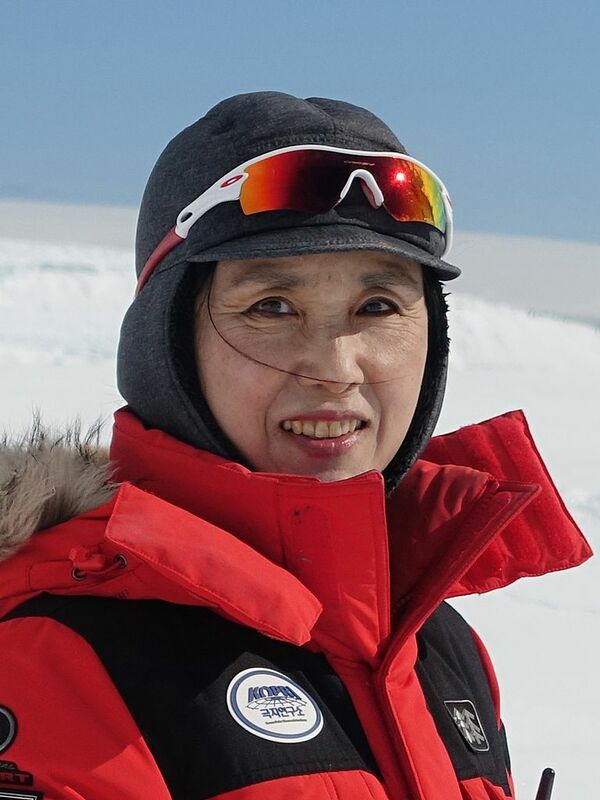 In-Young Ahn, benthic ecologist, principal research scientist for the Korea Polar Research Institute, and the first South Korean woman to visit Antartica. Image: Dr. In-Young Ahn at the Korean Antarctic Station, King Sejong in October 2015.jpg, by Inyoungahn, CC BY-SA 4.0, via Wikimedia Commons. 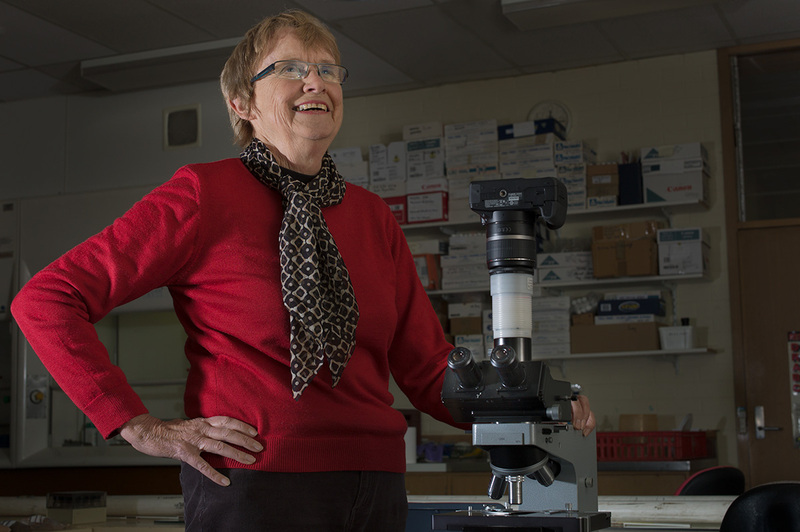 Jan Strugnell, evolutionary molecular biologist at the Centre for Sustainable Tropical Fisheries and Aquaculture in James Cook University. Image: Jan at Carlini.jpg, by Iracooke, CC BY-SA 4.0, via Wikimedia Commons. Irma LeVasseur (1877-1964), physician who was the first French-Canadian woman to become a doctor; pioneer in pediatric medicine. Image: Irma Levasseur.png, author unknown, public domain, via Wikimedia Commons. Suggest change, “… and teh first South Korean woman …” to ” … and the first South Korean woman … “.